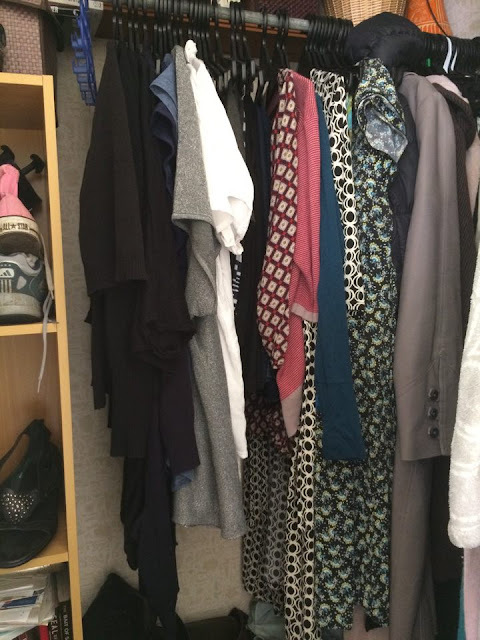 Great Fun etc: "Style-Challenged Mum gets Rescued by Personal Stylist"
"Style-Challenged Mum gets Rescued by Personal Stylist"
It's been really hot lately, hasn't it? The sticky, humid, icky type of hot that you get in exotic places like Queensland and Singapore. The type of heat that makes you want to go to the shops in a sarong. The type of heat that makes those of us carrying "a little bit extra" wish we'd had more self control when we visited Little and Friday for donuts (cos every donut is now being carried on our hips, weighing us down and make us sweat in the flippin' sweaty heat). But this isn't a post about the heat. Or about losing weight, getting fit or making any kind of resolutions. No. 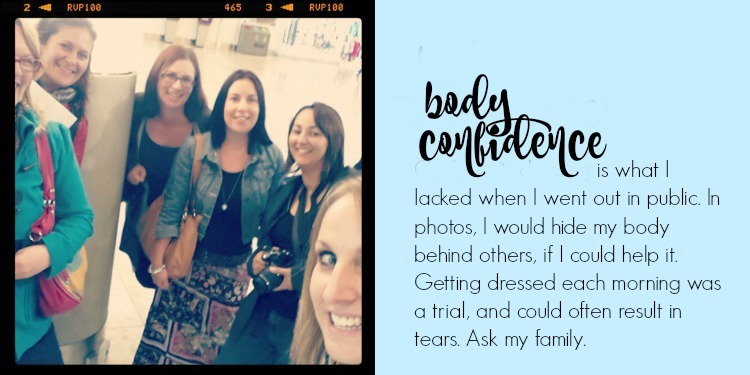 This is a post I'm writing because I am excited about a Christmas present I got that is gonna help me make the best of who I am, my body (as it is now) and my wardrobe. See, for Christmas I got a voucher for a style makeover with a personal stylist. Don't worry. This wasn't some kind of hint from Geordie implying I was looking a bit frumpy. I actually asked for this one, after saying to a number of my friends, "Wow you look awesome! I love what you're wearing, you look amazing..." and they replied, "Yep, I had a session with Coby. Now I can put on anything in my wardrobe and it'll look good on my and go together." So when hubby asked me what I wanted for Christmas, I said, "Please can I have a voucher to see Coby? I need HELP!" And today was the day Coby came over and we made a start on giving my wardrobe a long-overdue makeover. I can shop well enough for other people, but when it comes to myself and what to wear, I am "stylistically challenged". I struggle to find anything I like in the shops. I don't know what suits me. I'm self conscious about trying things on and I'm allergic to dressing room mirrors. It doesn't help that I'm also really really sensitive to itchy fabrics, tags, and constricting clothes. Suffering-for-Fashion be dammed - I'm a comfort-first kind of dresser. 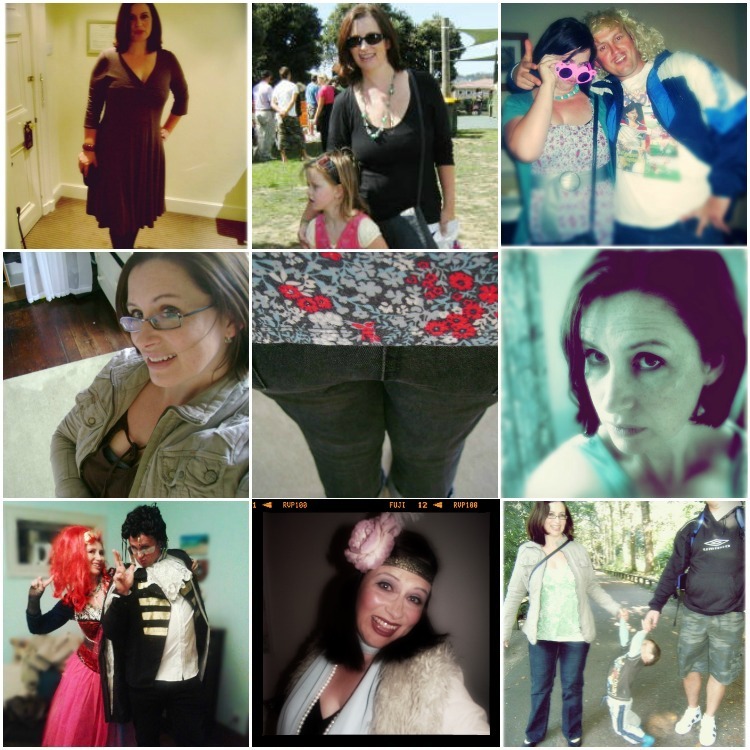 Consequently my wardrobe has been a combination of safe, easy, comfy and boring (except on those odd occasions when Geordie and I have been required to dress up in theme - Cyndi Lauper eat your heart out). But Coby (my personal stylist friend aka Coby Styled Me) reckons I'm not as far gone as I thought. In fact, when we went through my wardrobe there were a lot of redeeming features. Some things, I'd gotten right, by accident. 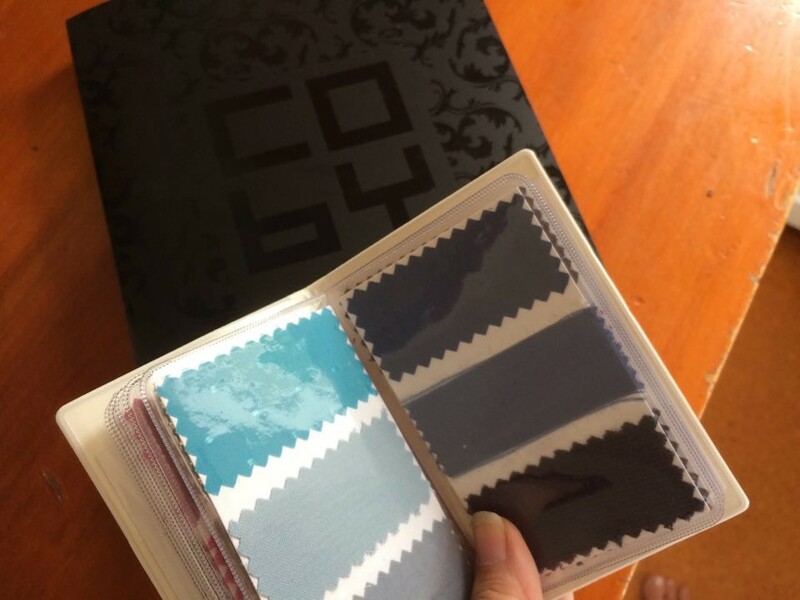 Coby reckons that most women intuitively know what's right for them, we are drawn to the colours that look best on us ("my favourite colour"; "my favourite dress" - usually styles/colours that make us look good). Sometimes we need someone to say, "yep, you're on the right track with that" - or "no, luv, not that one, never mind the fashion." I thoroughly enjoyed my session with Coby today. It was so affirming (and fun! who knew clothes could be fun?!). Having Coby analyse my wardrobe, my shape and "colours" was a bit like having my own personal Gok Wan. Or Trinny and Susannah (but without the scary four-sided mirror). I now know, for instance, that I'm a Summer. Cool based colours, clear muted tones. I also have an hourglass-shaped figure (who knew?) So apparently even though I am curvy, and heavier than I'd like to be, I'm "balanced" and "in proportion". I even have a waist. And apparently my upper arms are fine! I can wear singlets and sleeveless tops without feeling like I shouldn't, Coby reckons. Which is great news in this heat. I mean, I was wearing them anyway because otherwise I'd DIE, but Coby says, ALL GOOD. After Coby dug through my wardrobe, I now have a giant pile of rejected clothes on my bed, ready to give away/donate. No browns or muddy colours for me. All mumsy clothes, gone. 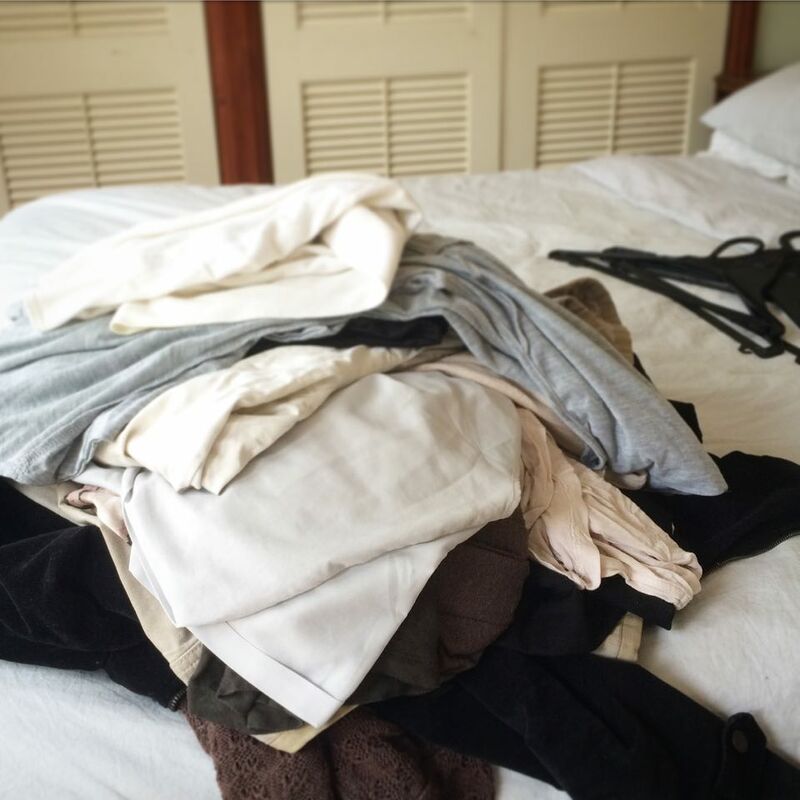 Anything unflattering has been ruthlessly culled, and what I am left with is the beginnings of a "capsule wardrobe". I can't believe that I am enjoying this. I'm totally looking forward to next week when Coby takes me shopping (with my Christmas money) and we get new clothes. I can't believe I'm looking forward to clothes shopping - usually I'd rather go to the dentist. What's your style? Are you into fashion or comfort? 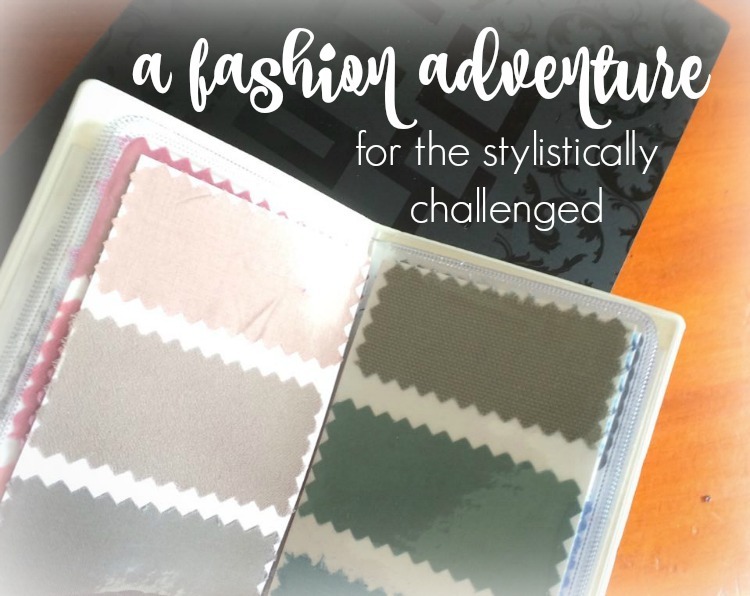 Are you confident fashionistically, or a bit style-challenged like me?